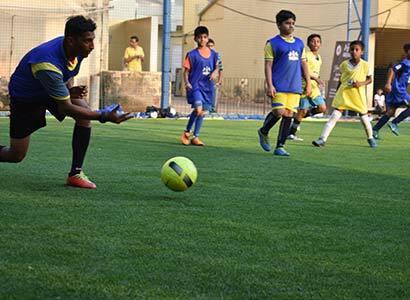 LAUNCH YOUR FOOTBALL CAREER - I-LEAGUE TRIALS KICKOFF! THE FOUNDER OF INDIAN ARROWS IS NOW LOOKING FOR YOU! Established in 2011 by Eric Benny, Eric Benny Sports Management (EBSM) is a multi-national organization having its offices in India, Germany and France. Eric Benny, the founder and CEO of EBSM and EBFS has managed the Indian National Team at the highest level in Asia for Asian Games 2010, Guangzhou. Focusing on Youth Football development, EBSM from 2015 – 2017 got the privilege to support and train the Indian Under -17 World Cup team in Europe. Affiliation with European academies and clubs to inculcate best international coaching practices. Development-centric methodology & certified curriculum from DFI (Germany). 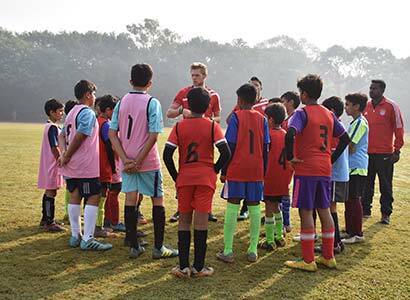 Sessions will be conducted by licensed Indian coaches under the supervision of our International Technical Director and Head Coach. Match Days- Practice matches, inter-academy matches at regular basis. Total focus on grass-root development with progressive coaching for each age category. Participation in Local, National and International tournaments. Positive and structured sessions in order to nurture young talent and help players fulfill their potential to become professional football players. Evaluations & feedbacks at regular intervals. Opportunity for talented students to get scouted for summer camps in Europe, and thereafter, if found suitable, for long term programs along with schooling. Our scouting process happens once a year by UEFA Certified coaches at our football academies. Shortlisted students will be given an opportunity to be trained and mentored at our European centers of expertise for a short - term program at FC Metz in France and Deutsches Fussball Internat (DFI) in Germany. Selected students from this Short – Term Program will then have an opportunity to be mentored at FC Metz in France or Deutsches Fussball Internat (DFI) in Germany for a long - term program. Our son Kaushik started playing football from the age of 7. EBSM and DFI, found the potential and talent in him and gave him the opportunity to pursue his dream of becoming a professional football player. When he was selected to attend a short-term program at DFI, Germany during the trials held by EBSM in India, like most parents we were confused and apprehensive to send him for the program. As a mother I was worried as to how Kaushik at 14 years would manage for 2 months, on his own so far away from home. However, Eric and his team gave us the confidence and assured us that Kaushik will become very independent and mentally strong. Under Eric’s advice, guidance, supervision and training, Kaushik has been molded into a calm, confident, independent, open, organized and matured personality. Currently he is in EBSM’s long term program in DFI, Germany and we are very happy that Kaushik has got an opportunity to train in a European football academy. 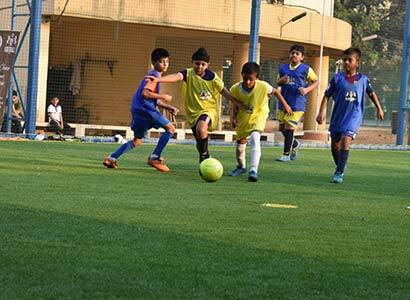 It’s safe, healthy and a perfect environment for boys to train without any distractions of a city life. Right from the beginning of the trials till the end of the month long training at DFI – Germany, EBSM guided us at each step and helped us with all our apprehensions about visa, accommodation, etc. We accompanied our 9 – year old child to DFI and what an experience it was! As promised by EBSM, children went through the same training calendar and weekend excursions. 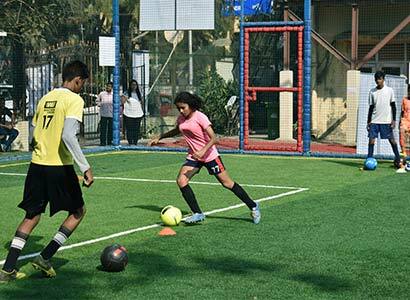 The training facilities along with the private sports school are located at a walk able distance so that the child doesn’t waste much time in travelling and can utilize the same in training and studying both. Overall we are impressed with the experience and have decided to continue our engagement with EBSM for the long -term program as well. EBSM definitely knows how to live up to their promises. All the best to EBSM and Team. This platform has provided our son, Josh with just the right opportunity to fulfil his aspirations with professional Football. The entire team in general and Mr Eric Benny, in particular, is extremely passionate about professional scouting, training and career development of young, budding players. We feel confident in handing over the responsibility of future mentoring & training of our son Josh to Eric Benny & Team in association with DFI Germany. Our sincere compliments and best wishes to the entire team. Eric Benny (born on 7th November 1978) is a former footballer and manager of the Indian National Team and also the Chief Executive of Eric Benny Sports Management and Eric Benny Football School. 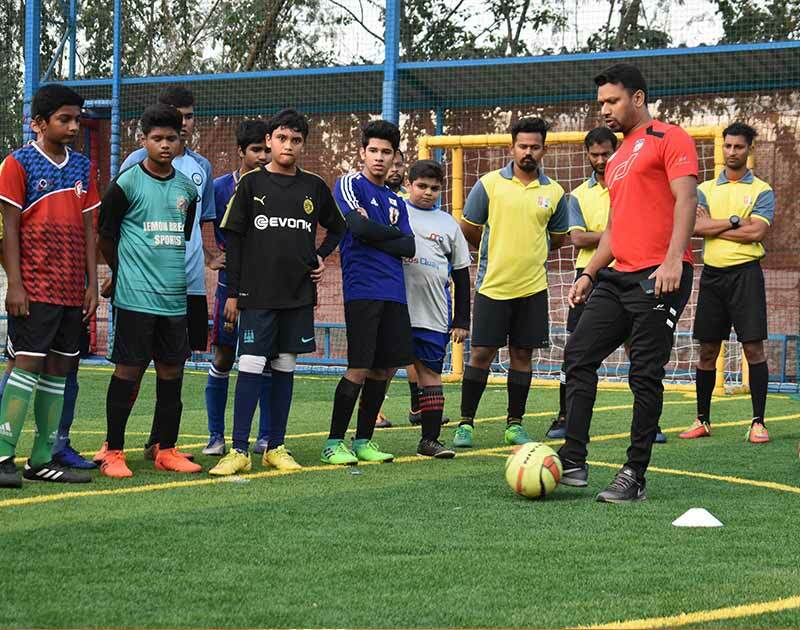 He is a pioneer in promoting grass-root level football in India, with numerous awards and accolades including Manager Asian Games 2010 (Guangzhou, China) AIFF November 2010, Manager Olympic Qualifiers (2011) February 2011. He has also worked as a General Manager for the I-League Club, Indian Arrows. Players like Gurpreet Singh Sandhu, Lal RinDika, Milan Singh, Jewel Raja, Manandeep Singh, Raju Gaikwad, Jagroop Singh, Jeje and a few others played under his leadership. Copyright © 2019 Eric Benny. All rights reserved.